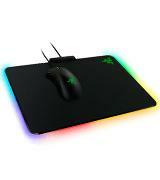 Razer Firefly mouse pad lights up with 16.8 million colors and also has several visual effects. The pad must be connected to PC. 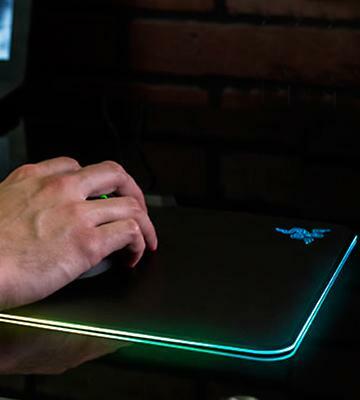 This astonishing lighting mouse pad is a number one choice among gamers and will be a great addition to other Razer accessories. The mouse pad has stitched edges to protect the surface from peeling and provide longer life. The pad is rather big and takes a lot of space. 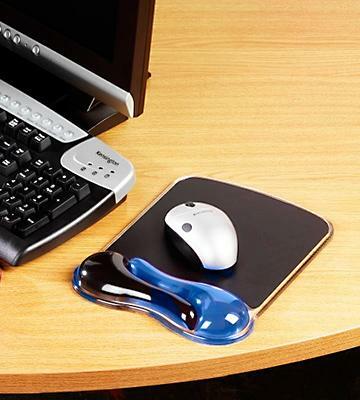 With this extended mouse pad, you will have the largest working surface which is extremely convenient. The thickness of this mouse pad is so small that you can easily roll it up to transport. It takes some time for the pad to smooth out. 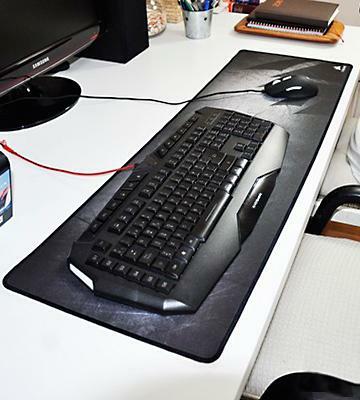 You will not feel any obstruction for your hand when using this XXL mouse pad. Perfect comfort. 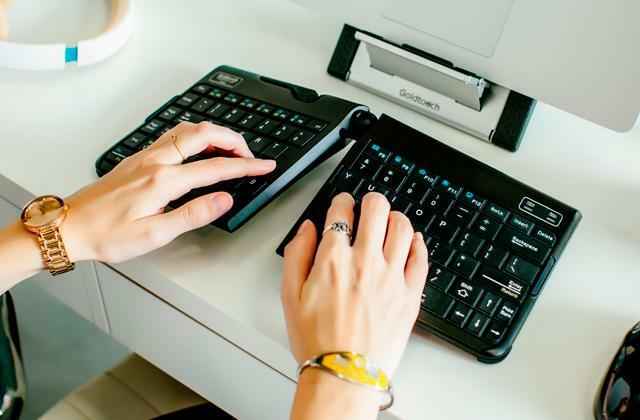 The gel wrist rest helps you position your hand comfortably and reduces fatigue. Prolonged use may cause hand sweating. With this mouse pad, your wrist will stay healthy and you won't get tired using your PC for long periods of time. There is a ventilation channel between the wrist rest parts that helps keep your hands dry. Cleaning the ventilation channel takes some time. 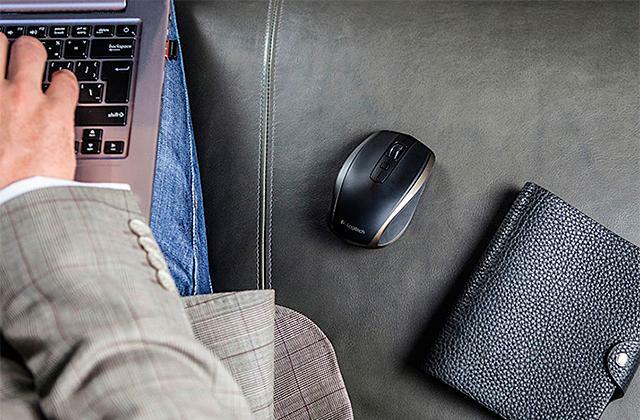 This stylish modern mouse pad not only makes the mouse use comfier but also keeps your wrist cool. 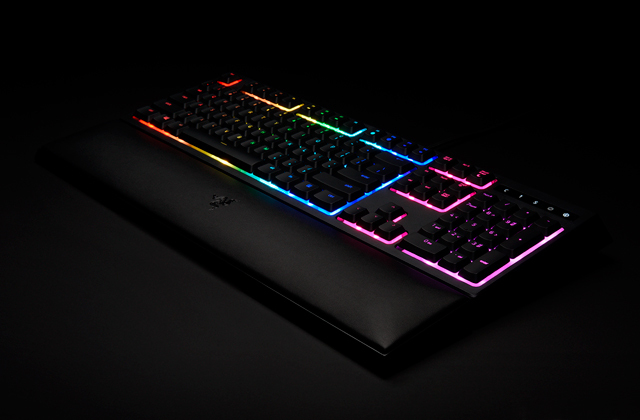 This Razer Firefly Chroma Custom Lighting Hard Gaming Mouse Pad is really something special and unprecedented. Any professional and passionate gamer dreams of a mouse pad like that. The mouse glides smoothly over the micro-texturized surface and the pointer appears right where you want it to, bringing the victory to your doorstep. But that's not all! 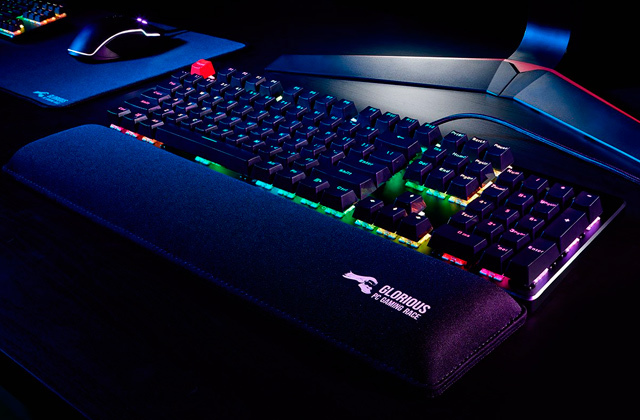 The gaming process will be accompanied by 16.8 million of colors this mouse pad lights up with! You can select one of the lighting patterns with customizable effects and enjoy the bright experience. However, note that you will need a PC connection and, consequently, a software installation. 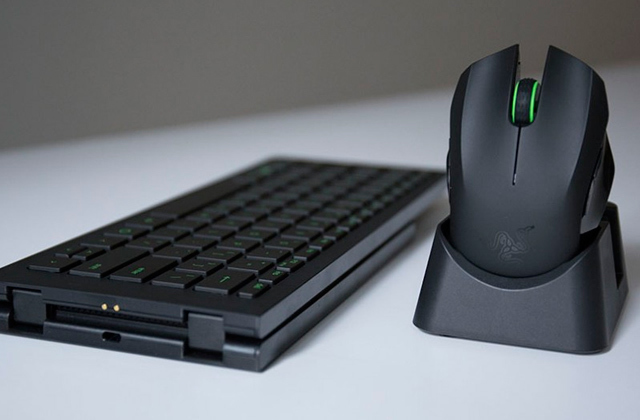 On the bright side, we'd like to notify you that this model of Razer Firefly Hard Gaming Mouse Pad supports Razer Synapse, a Cloud storage for saving all your lighting settings. What can be better than a matching set of equipment? 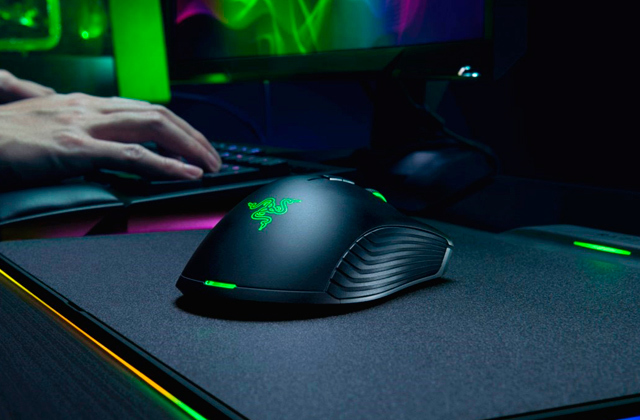 The Razer Mamba Tournament Edition - Professional Grade Chroma Ergonomic Gaming Mouse is a companion created to perfectly match this mouse pad. The best thing about this, for me personally, is the size of it. I thought it would be a fairly small mouse pad but upon placing it down, it was a lot bigger than what I was use to. 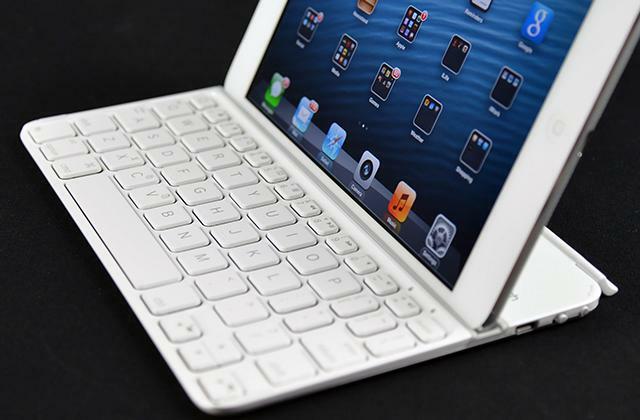 The fact that it's a hard pad is very nice. My son doesn't have to worry about dirty fabric or tears. It's easy to clean with an electronic wipe, too. 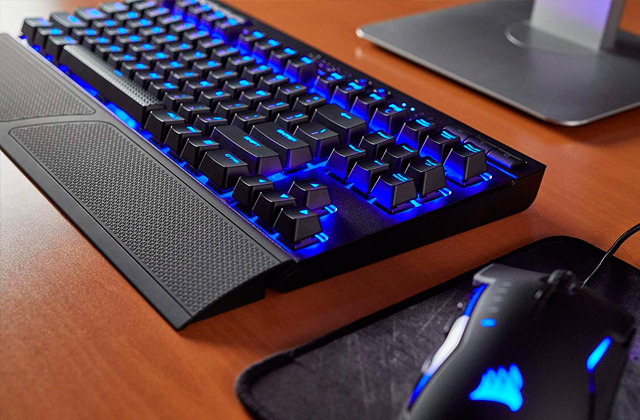 The extended model of the Corsair mouse pad is the choice of those who need maximum space for rolling their mouse. As for the covering, it is a high-quality textile-weave surface that enables pinpoint positioning and precision of the pointer. At the same time, the rubberized base effectively prevents the mouse pad from sliding on the desk, making your moves more confident. What is more, the surrounded stitched edges protect the whole Corsair mouse pad from wear by saving the layers of the surface from peeling off, even if you use the mouse mat often and for hours at a time. With this, the Corsair Gaming MM300 Anti-Fray Cloth Gaming Mouse Pad will serve you years longer than the average mouse pads. And having almost 37" of length makes it possible to place on this large mouse pad not only a mouse but your keyboard too. The most comfortable workplace is waiting for you. 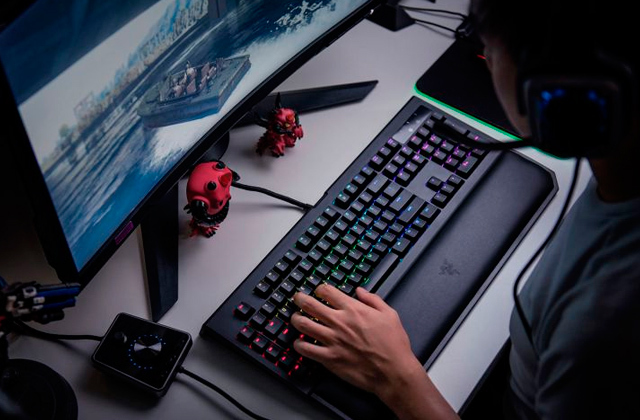 Get a Corsair RAPIDFIRE Gaming Keyboard in addition and manage to outrun all your rivals in games. Perfect size for my desk. Great feel and quality. Completes my Corsair peripherals setup. My mouse reacts wonderfully against its material. No fraying on the edges. What gamer doesn't wish to have a perfectly thin working surface that would at the same time be wide enough to not worry about moving a mouse around? 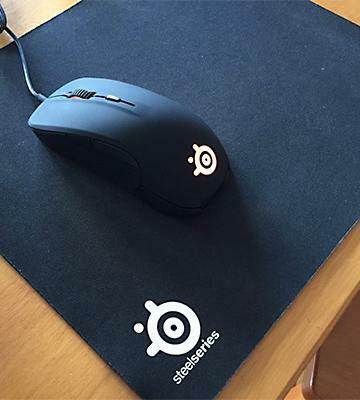 That's what the SteelSeries QcK+ Gaming Mouse Pad is all about. 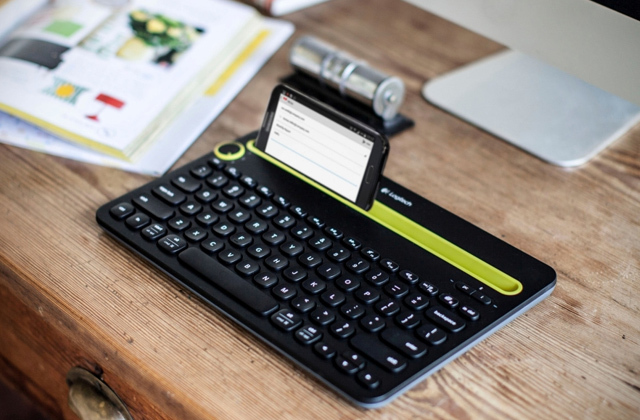 Its thickness is mere 0.8", thin to the point that you won't even feel it on your desk. Another benefit you get from the thin mouse pad is that it will be easy to fold it or roll it up and put it in your bag with your laptop, and when you pull it back it will be back to its original shape. The smooth cloth surface provides a precise control over the pointer and is an ideal solution for those using low sensitivity mouse settings. 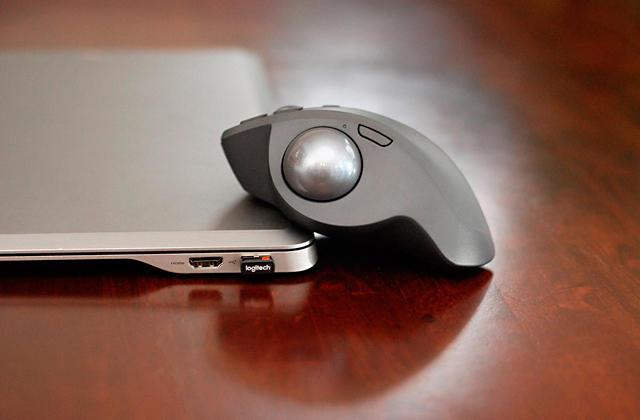 The size is approximately 18" long and 16" wide, creating a fairly large surface for maneuvering the mouse. During a game, it often happens that you have to exchange messages with your teammates to coordinate the team actions for the best result. To do it without any hindrances, the Logitech G230 Stereo Gaming Headset with Mic is one of the best solutions. I love the size of this pad. It is about twice of a regular one and I put 2 mice for 2 different machines on it. Works really well for me. Great high quality mousepad. Rubber bottom holds grip to desk. Thinking about computer-related jobs, we always think how we need to protect our eyes and back. But you have surely noticed how long hours of working on the computer take a toll on your wrists, too. Fatigue turns into pain and if not dealt with properly it might end up in a serious injury, for example, a Carpal tunnel syndrome. 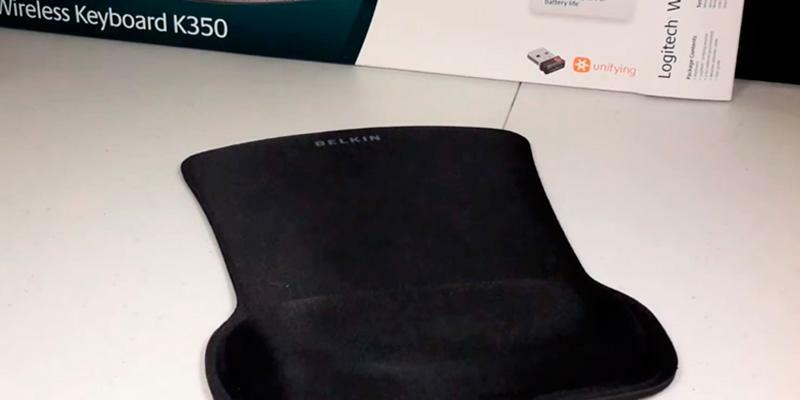 With the Belkin WaveRest Mouse Pad, you will forget about this problem for a long time. The patented Gelflex Comfort Zone will provide the proper wrist position, thus lowering the load your wrist endures and lessening the possible pain. At the same time, all the movements of your hand will be correct from the health point of view. Having purchased this mouse pad, you will be able to spend more hours on the computer for work, gaming, or simply surfing the Internet with all due comfort. 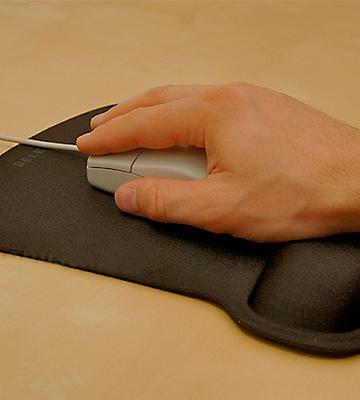 The surface of this ergonomic mouse pad with wrist rest is cloth so you will have complete control over the pointer. Belkin WaveRest Gel Wrist Pad for Keyboards will make texting and writing on your computer more comfortable, too. Keep your wrists healthy. The wrist rest is a nice size and has an indentation to cradle your wrist or end of palm which is really nice. The actual wrist support is excellent as well. Belkin, either by luck or a stroke of brilliance, designed the wrist support to have an indent in the middle. Many mouse pads today feature a wrist rest, but Kensington Duo Gel Mouse Pad has a feature that can probably beat all other models hands down. On this mouse pad, you will find not one but two gel wrist rests separated by a narrow channel. What for, you would ask? The answer is brilliant in its simplicity. The channel provides a much-needed ventilation so that your wrist and hand stayed dry and cool throughout the working process. After all, you probably encountered this too — after long hours of either working or playing intensely, your hand starts to sweat, and it, of course, causes some level of discomfort and even gets in the way of your mouse control. But this mouse pad conquers the problem effortlessly. 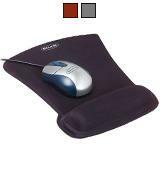 Your wrist will not only lie comfortably on a soft wrist rest but will also be ventilated. No more palm slipping and sliding off the mouse. Your grip is sure and the targeting is pinpoint. For hours. With the 3M Adjustable Monitor Stand, you will be able to position the monitor of your computer at the best level for your eyes and back. Wrist fits perfectly in the groove, mousepad is responsive and a good size. Lastly, it features a gel wrist rest which is cool to the touch. 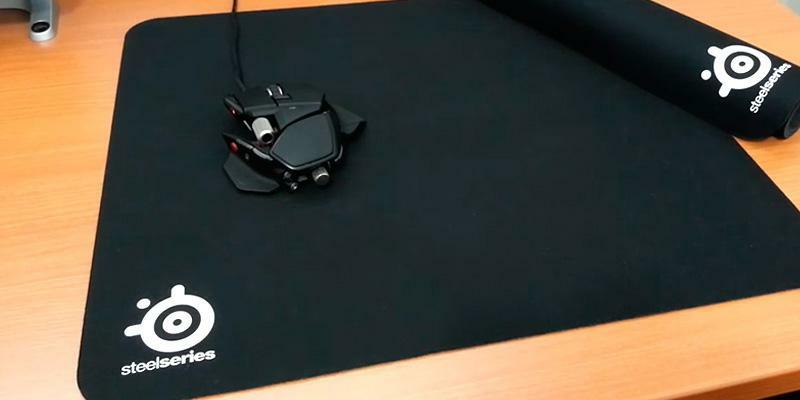 Mouse pads were designed to create a perfect surface for the mouses' operation. 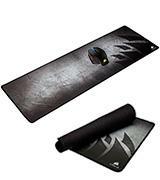 Mouse pads are a necessary accessory for any avid gamer as they provide the most precise control over the pointer. 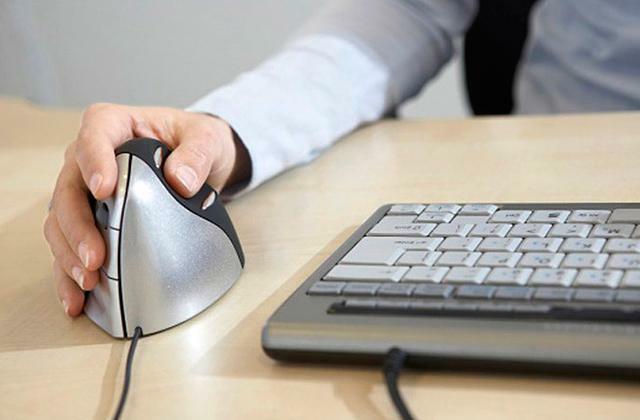 Their other purpose is to protect your desk from scratches a mouse can cause during sliding. Here in this review, we would like to introduce to you 5 of the best mouse pads offered on the market today. We are sure you will be able to find the one suitable for you personally. 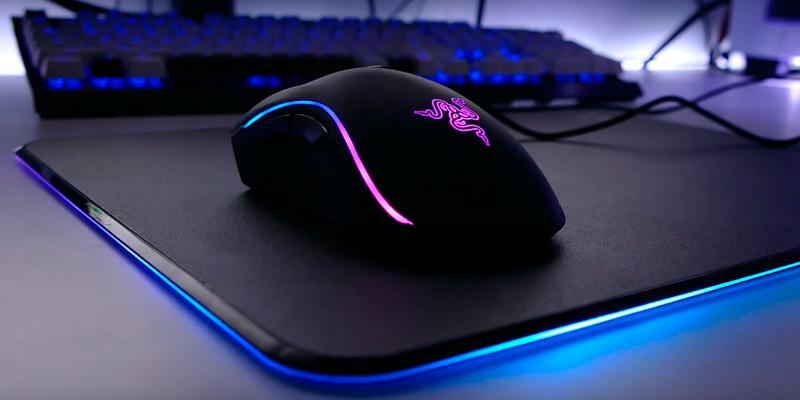 If you are thinking of purchasing a new mouse, too, you will probably be interested in our selection of gaming mouses, trackball mouses, and wireless mouses, too. First of all, turn your attention to the material your future mouse pad is made of. 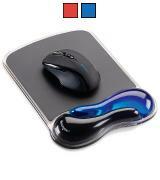 Plastic mouse pads are good if you need a quick movement as the mouse slides smoothly on plastic. But from the precision point of view, it might be not the best of decisions. 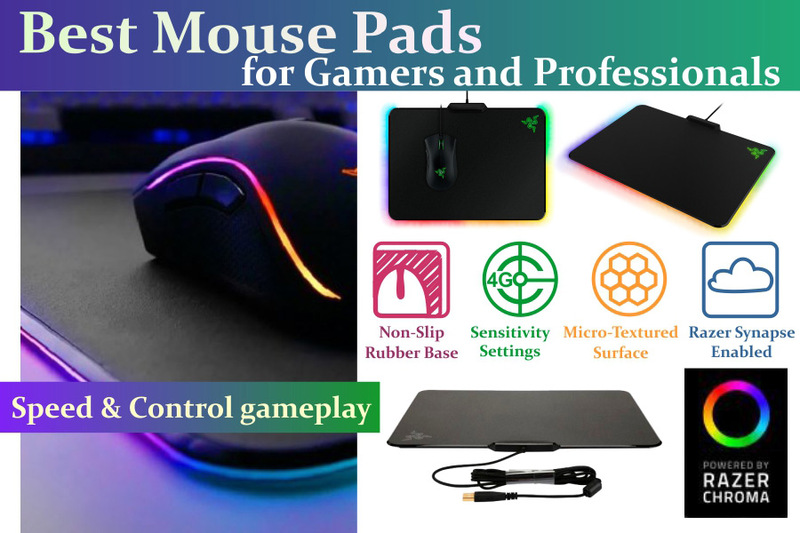 On the other hand, cloth mouse pads are more flexible and are easy to roll up and carry around if you leave your desk frequently and take the laptop with you. However, note that the mouse moves slower on these pads. 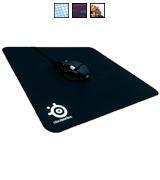 Depending on your personal preferences and the conditions you will be using a mouse pad in, the size will differ. For example, your free space on the desk might be limited so the mouse pad also should not be too big. 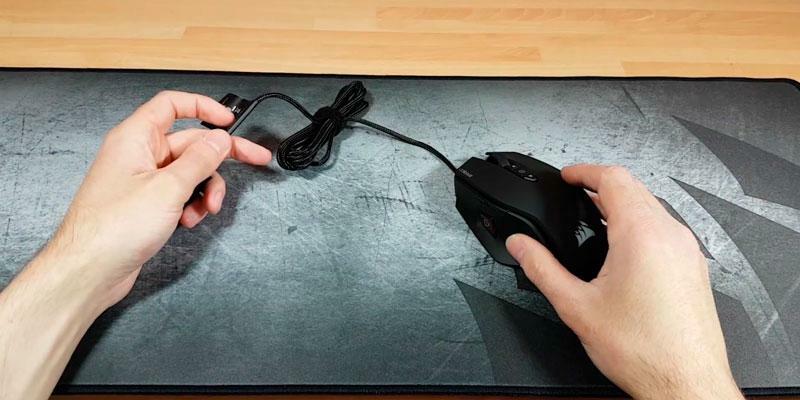 And the other way round — if you like your mouse at low sensitivity, you need more space to move it, therefore, a large mouse pad is your best pick. The mouse pad thickness directly affects the convenience of use. The thinner the pad, the less of it you actually feel, as the strain on your wrist is weaker. So more often than not thinner mats are comfier for extended periods of work. There are also mouse pads with specifically designed wrist rests that add to the healthy wrist position and lessen the load even more. Choose the mouse pad considering all the parameters — from what you use your mouse for to how long you work without rest. 1. How to Choose the Perfect Mouse Pad for Your Needs, Toolbox.com. May 10, 2016. 2. Mousepad, Wikipedia. Last modified on August 15, 2016. 3. Help me choose a mouse pad, Reddit.